Do you or someone you know love Shelties or Shetland sheepdogs? 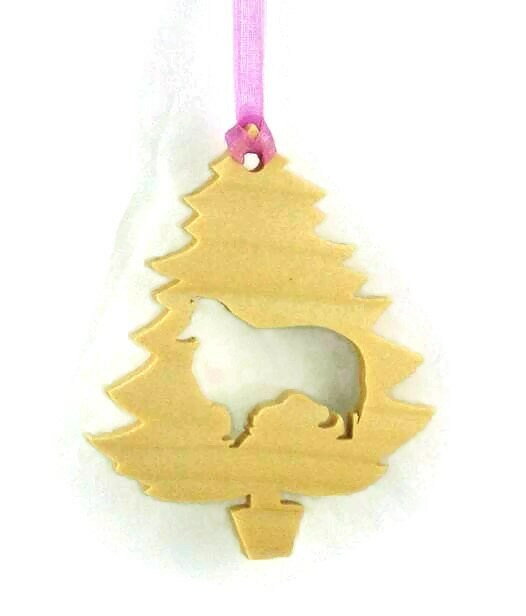 If so the treat yourself or give as a gift to a friend this wonderful ornament to celebrate your love for these amazing little dogs at Christmas. 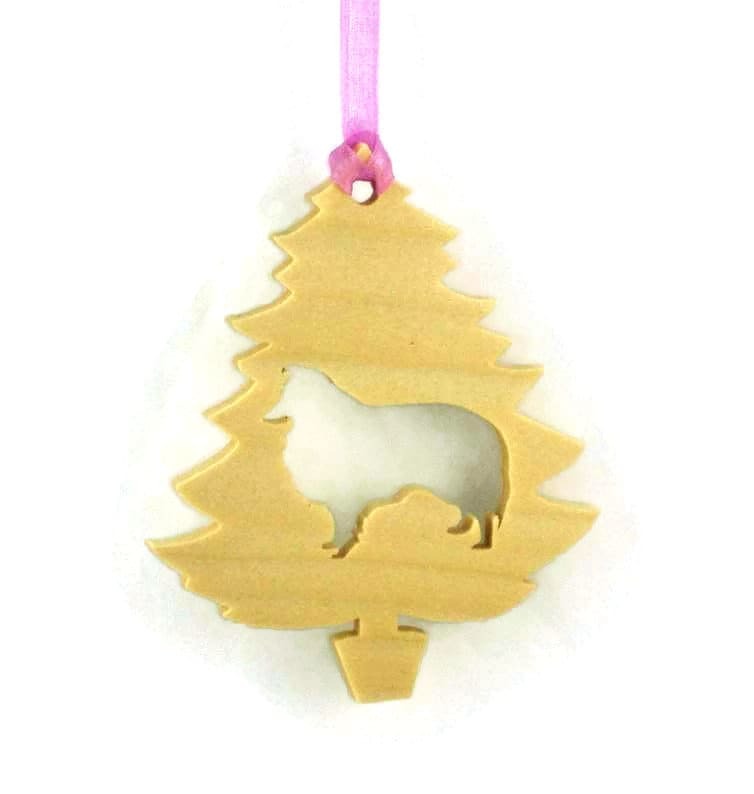 This ornament will sure to spark some memories and conversations every year at Christmas time of our wonderful Sheltie / Shetland sheepdog. 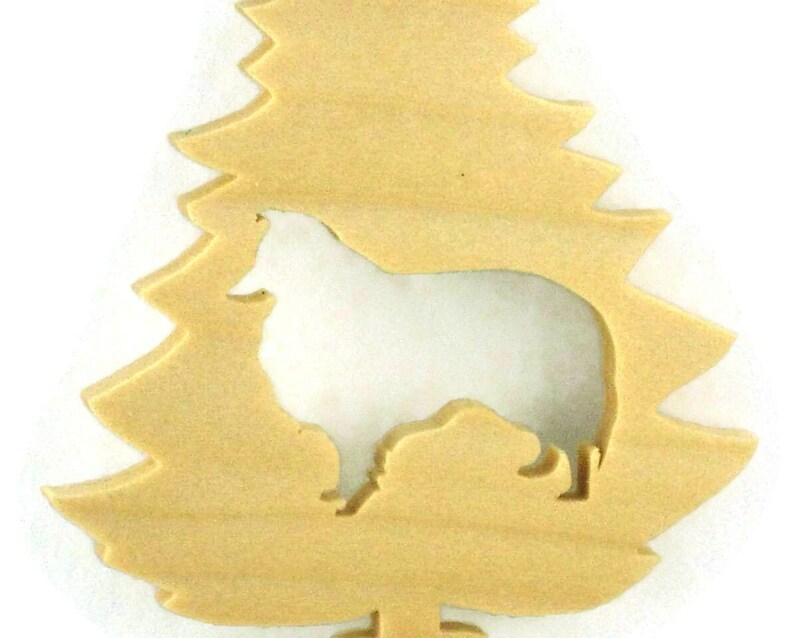 This ornament features a silhouette of a Sheltie / Shetland Sheepdog cut out of the center of a Christmas Pine tree shape. A natural color Danish oil finish was applied to bring out the natural colors of the wood as well as to help protect its natural beauty for many years of enjoyment. A various color fabric ribbon is attached for ease of hanging this on your Christmas tree. 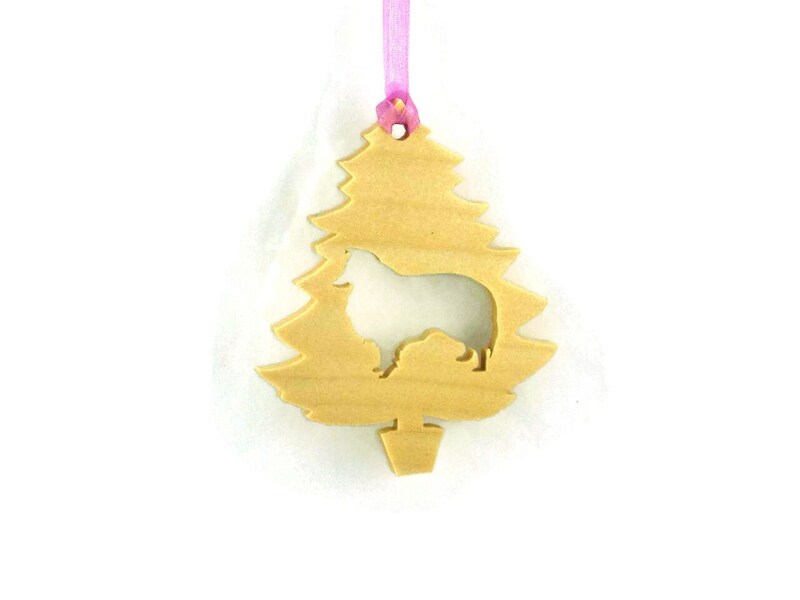 Can be ordered from other types of wood. A good and smooth transaction .